In May Jenna and I went to Iceland and travelled the countryside by car. I have been anticipating this trip for a year and a half and it was everything I imagined and then some. In October 2010 there was a medical emergency on our return flight from England that forced us to land in Iceland. The emergency was dealt with but we were unable to leave due to a mechanical issue. The crew was unable to resolve the issue on the tarmac and a mechanic had to be flown in, but it would take some time. Instead of leaving us on the plane or in the airport we were put up in a hotel in Reykjavik and were heading back to Canada 16 hours after we originally landed. Being in Iceland in late October the sun set early so by the time we left the airport there was very little to see and we weren’t dressed for the cold and the wind so we stayed in our hotel for the few hours we were there. I didn’t see much of the country but it made me realize that getting to Iceland wouldn’t be impossible and after doing some initial research as to what Iceland looked like in daylight I knew we had to return and do it properly. 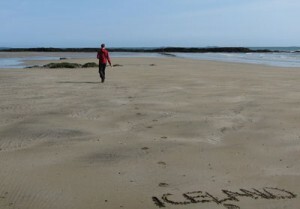 At the start of 2011 I began preparing for the 2012 Iceland trip. I spent several months researching weather patterns from April to October, compared it against flight costs in 2011 and looked to see what attractions were open during that time frame. I settled on arriving in the middle of May because boat rides on Jökulsárlón were running, the road to Dettifoss would be open and we would be arriving in one of the dryer times of the year. In addition to all of that, we were on the shoulder part of the off-season so while everything was opened we avoided the higher summer rates that run from June to August. The only way to arrive in Iceland is through Icelandair. Unfortunately Icelandair only departs from certain cities so we had to decide of going to Toronto, Seattle or Boston for our connection. We went with Seattle for the smallest layover with our Edmonton arrival and we wouldn’t need to department Edmonton too early. It is a little counter productive to go west and then head east but we only needed to do that at the beginning and end of the trip so it was a minor annoyance we accepted. I used Hipmunk to determine the cheapest days to fly out and return on. Then I set up daily email notices from Kayak to see what the cost trends were. After months of monitoring airfare we bought our tickets in August 2011. With our timeframe set I began to look at accommodation and car rental. I spent several months writing down rental rates from different companies, pieced together a few guest houses to stay at on the road but wanted to get some assistance on the logistics. Self drive tours are common in Iceland and there are several companies that will offer packages for visitors to purchase. The tour company will make all arrangements for car, accommodation and make recommendations on your trip. I felt like this was a safe way to go, especially having a safety net to look out for us if something went wrong or a volcano erupted and affected travel plans. There was an increase in costs compared to doing it yourself but the costs were easy to accept when you are dealing with a lot of unknowns. After researching tour companies, and being in contact with most of them, we bought a self drive tour package through a company called Iceland Unlimited. They were one of several companies offering packages in May and received top marks on Trip Advisor from people who have dealt with the company. In November we ordered our 15 day tour and our logistics were taken care of. The itinerary they provided was full of informative things to see every day, included sights we wouldn’t have thought of otherwise to look for in our Frommer’s and Lonely Planet books. We were put up in 11 different guest houses throughout Iceland and had several 2-day layovers where there was plenty to see (Skaftafell National Park, Lake Myvatn, Reykjavik). This question requires a separate blog post to itself, which will come soon, but in short: it was amazing. Iceland is full of natural beauty. It has a constantly changing landscape throughout it. One day we were in regions with snow-capped mountains driving alongside some of the largest glaciers in Europe. The next day we were in small fishing villages that had a population of less than 100. The day after that we were driving through a barren land of rock and snow that could have been from a different planet entirely. There is never a shortage of things to see or do in Iceland. We saw waterfalls almost daily and each one was unique in their own way. We saw things that were otherwise only visible on the bottom of the ocean. We witnessed a sun that never set, tasted some of the best hot dogs in the world and drank some of the purest water you could find straight from the tap. We took impromptu hikes to sights off of the road, visited all four National Parks and spent as much time exploring outside the car as we did driving. We went beyond the 66th parallel, something that is only accessible to Canadians at the furthest reaches of Yukon and North West Territories. 300,000 people live in Iceland with 200,000 of them living in the capital so once you left Reykjavik you were immediately on your own and had this sense of incredible peaceful isolation. The primary language in Iceland is Icelandic, but the majority of the country speaks English so even though you are alone communicating with people in towns or others in your travels wasn’t a problem. This wasn’t a warm weather lay on the beach kind of vacation, and there were some negatives due to the weather. It was usually above zero but with the wind it wasn’t by much. A day we weren’t wearing three layers was a good day, and when we didn’t wear long underwear it was especially noteworthy. However, all of that made Iceland unique and special. You blended in with others, tourists and locals alike, because you were wearing Gore-Tex and hiking boots. You wore a toque and gloves most of the time and no one noticed. When you’re driving around the country you can’t stop sight-seeing because of bad conditions, so you layer up and see the beauty. Yes! Photos of food we ate, places we stayed at, views from our window, churches, beaches and vistas from our trip around the country and more are coming. I’m trying to trim down the 1200 photos to a reasonable size and then will edit and add them to the Gallery soon, which will then be accompanied by a more detailed blog post outlining our progress through the country. In the mean time the Project 365 photos from the trip can provide a taste of what was a highlight from each day. Edit: The remaining posts in the Iceland saga can be found here: 1, 2, 3 and 4. Was researching trips to Iceland and stumbled across you post. Great start to your story. Looking forward to reading the rest!